Shoreline Protection – Restore or Retreat, Inc.
Shoreline protection projects involve various techniques designed to decrease or halt shoreline erosion. Some techniques, such as rock berms, are applied directly to the eroding shoreline; other, techniques, such as segmented breakwaters and wave-damping fences, are placed in the adjacent open water in order to decrease a wave’s energy before it hits the shoreline and to promote the buildup of sediment. Caminada Headland is located south and east of Port Fourchon in Lafourche Parish. The headland is a 14-mile-long undeveloped beach that stretch es from West Belle Pass on the west to Caminada Pass on the east. Over the last 100 years, the Caminada Headland has experienced significant shoreline erosion and land loss, averaging 35 feet per year, to its marsh, wetland, beach, and dune habitats as a result of storm overtopping and breaching, saltwater intrusion, wind and wave induced erosion, sea level rise, and subsidence. In Increment One, 3.3 million cubic yards of sand was dredged and transported from Ship Shoal, an offshore borrow site 27 miles away in the Gulf of Mexico. 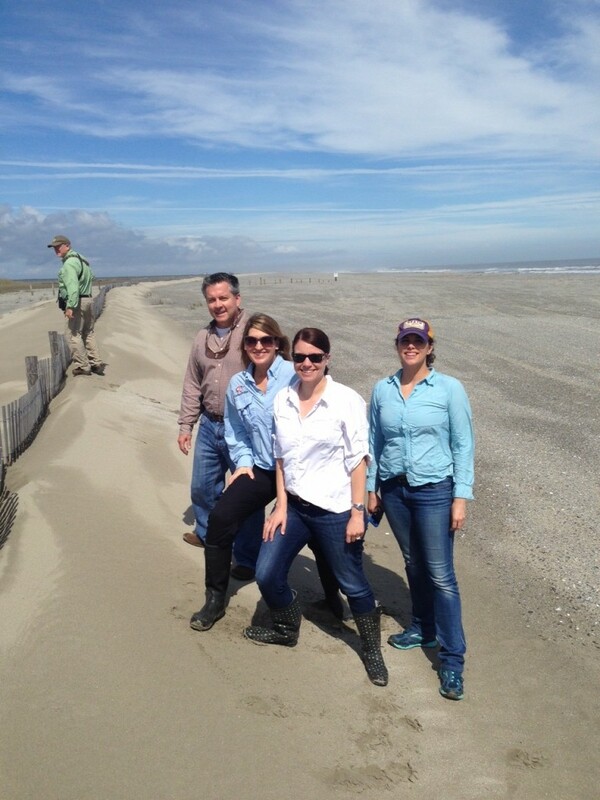 This was the first time that sand from Ship Shoal—an abundant sediment source—was used for a restoration project, with the approval of the Bureau of Ocean Energy Management (BOEM.) The sand was barged to a staging area near the mouth of Belle Pass, then pumped via a pipeline for placement on the shoreline. As the project progressed, the pipeline was extended along the six mile stretch. 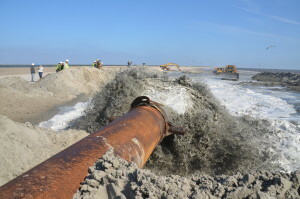 This project aimed to create and enhance 303 acres of beach and dune, reinforcing almost six miles of barrier headland habitat, reducing the impacts of storm events on Port Fourchon and Highway 1, a vital hurricane evacuation route for Fourchon and Grand Isle. The Caminada Headland also provides important habitat for nesting shorebirds as well as migratory birds as it is one of the first available stopover sites during migration. The headland is also critical habitat for the endangered piping plover. 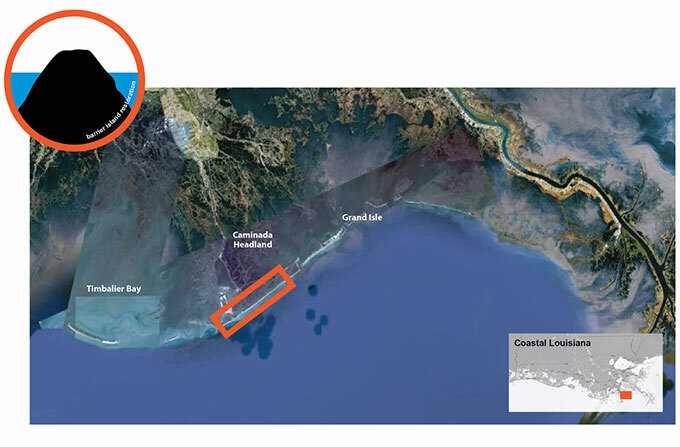 The CPRA intends for the design and construction of the Caminada Headland Project to serve as a portion of the State of Louisiana cost share towards the design and construction of the Barataria Basin Barrier Shoreline Restoration Study (BBBS Project). 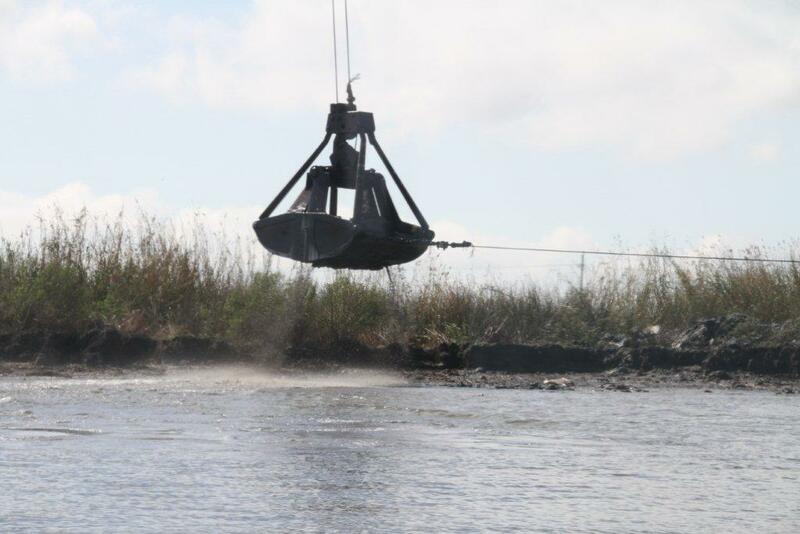 The BBBS Project was identified as a critical near-term restoration project in the Louisiana Coastal Area, Louisiana Ecosystem Restoration Study Report and was federally authorized under the Water Resources Development Act of 2007. The final integrated construction report and final environmental impact statement for the BBBS project was completed in March 2012 (USACE 2012). Caminada: With Increment 1 completion in late 2014, the State proceeded with Increment 2 of the project in the late spring of 2015. All equipment has been mobilized, and dredging in Ship Shoal has begun. The current schedule is still to be pumping for about a year and be finished in May 2016. ROR visited the completed Caminada project in the Spring 2015, along with CPRA leadership, NGO partners, and stakeholders.